DreamWorks Dragons TV Series is an American computer-animated television series based on the 2010 film How to Train Your Dragon. The series serves as a bridge between the first film and its 2014 sequel and was first announced by Cartoon Network in October 2010. A total of 40 episodes aired on Cartoon Network during the first two seasons, subtitled Riders of Berk and Defenders of Berk respectively. Afterwards, the series was taken over by Netflix and named Race to the Edge; the first season of which debuted on Netflix in June 2015. It then ran for a total of 6 seasons on Netflix with the final one getting aired in February 2018. In total, the show has a total of 8 seasons of which, the first two aired on Cartoon Network and the later 6 on Netflix. I just finished watching all 8 seasons of the show; and totally fell in love with it. If I am now to name my favorite TV Shows then Dragons will definitely be on that list. 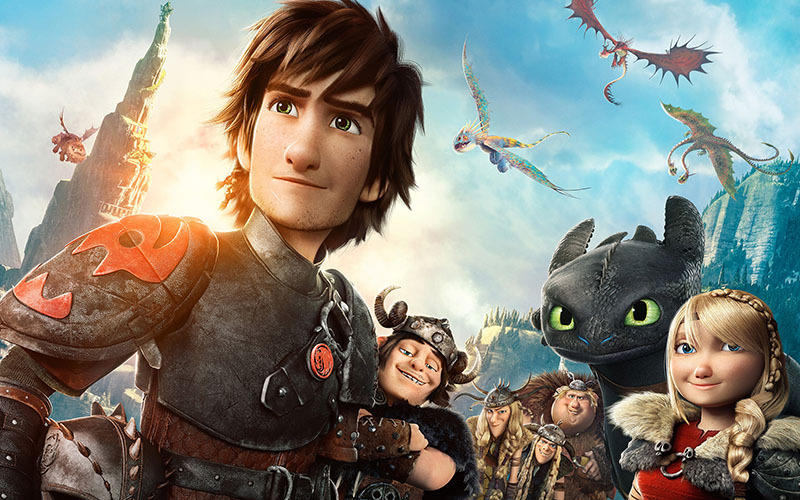 Overall, this series is a very enjoyable one; and serves as a great bridge between the two parts of How To Train Your Dragon movies. I must admit though that I was anyways a fan of the two movies; and the overall franchise. I wasn’t however aware that a series too existed; and discovered it quite by accident. I was searching for something else actually; when this shows popped up in Netflix search results. I did a little digging further and before I even knew it, ended up binge watching all 8 seasons of it. Season 3 to 8 are actually the ones that are available on Netflix and I too watched those first. Then I Googled and watched Season 1 and 2 on a different site. The first couple of seasons I found to be a little dull but by the third season, the show is a full on action packed adventure; with the right amount of romance, comedy and drama. The animation is very impressive and their is a lot of character development. New characters are introduced with interesting back stories. I do not really want to go in too much detail about the story as do not want to spoil it for you; but if you liked the franchise and want to watch a few more hours of great fun with an array of colorful dragons then this is the series for you.